If you are looking for a subtle color, you're going to want to check out one of our warmer hues. If you are looking for POP, then Baker, you've come to the right box. 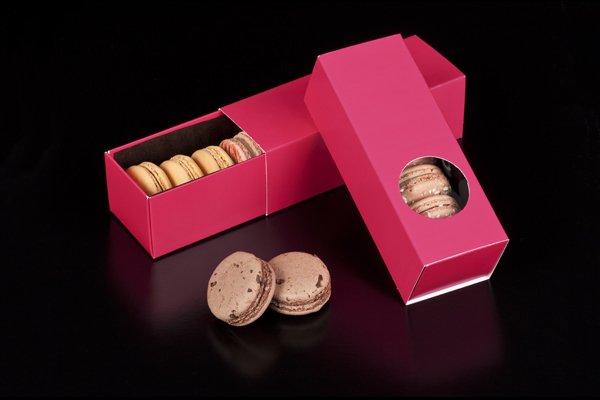 Snag this pink base to augment the brilliant display of your colorful macarons. 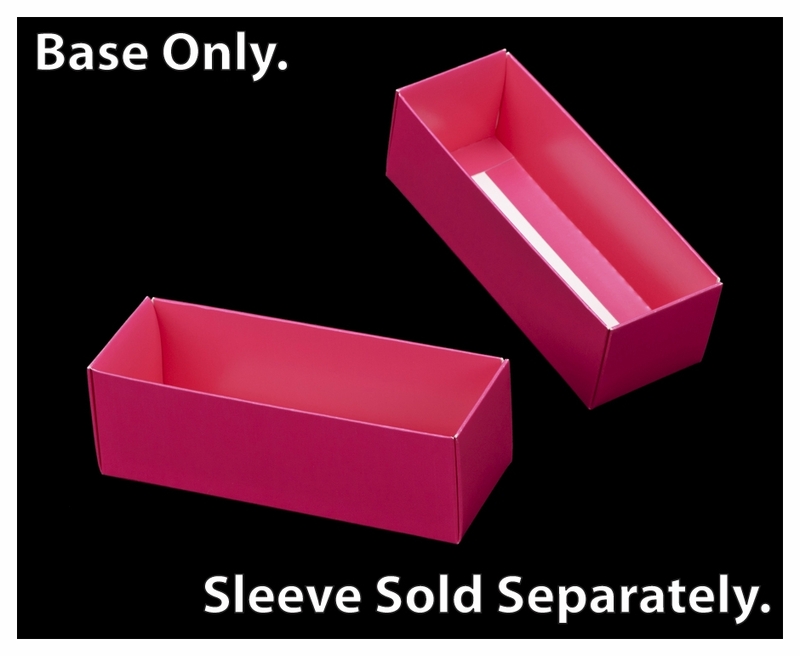 Of course, you can match this coral cookie cradle with a sleeve of a different color to further personalize your macaron or mini cupcake box packaging/presentation. 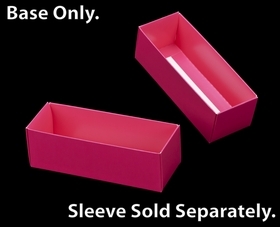 Hi, would the sleeve be of a different size or a 6" x 21/4 " x 2" would still fit the same measurement of the box ? Thank you.